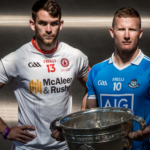 Well here we are, it’s not the third Sunday in September but it still has all the feel of an All Ireland weekend. Preparations have been made, lines drawn, pitches put in pristine condition, team talks given and players ready to burst on sheer anticipation alone. The first year of the Super 8s have come under scrutiny from many, but there is still a sense that a change was well overdue. For a competition that’s 130 year’s old, an overhaul to the system was always going to take ..
Another weekend and another unbelievable game of rugby, this time between two old adversaries in Leinster and Munster. Congratulations to the blues and commiserations to the red army on what was a nail-biting battle. It seems like every week now Leinster are cleaning house, but they still have one more big weekend in store against the Scarlets before the season fully wraps up. 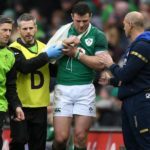 Again, yesterday’s game seen a few big casualties picked up with Jack O’Donoghue sustaining a nasty looking leg ..
Well, that was some weekend of rugby! Leinster and Racing 92 put on a technical clinic and left absolutely nothing on the table with the boys in blue clinching the Champions Cup trophy after a late dramatic win over the French in Bilbao! As always though, there were injuries before and during the game. 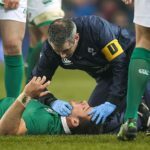 Maxime Machenaud picked up ligament injury in April, legendary All Black Dan Carter was ruled out of the squad after triggering a hamstring problem and then, first-choice out-half Pat Lambie went .. There is a misconception that Rugby is a dangerous game. It is of course a physical game, but when the right skills are used properly, it is safe. With that in mind, like any other sport most players are at different stages, be it Underage, Junior, Professional, Club or International level. However, one common factor is that the vast majority will get injured at some point in their career. 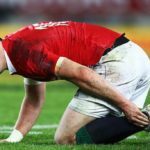 As a Sports Injuries Therapist, I worked with a local Rugby team in Bristol and treated various injuries wh..